I’m sipping tea out of a vintage tea cup and enjoying a lovely and warmer than usual fall day here in West Michigan. It’s prime time for fall color here in the mitten state and my absolute favorite season. As I mentioned on my last podcast, I’m not keeping sugary sodas around the house and staying hydrated by drinking primarily water, fruit smoothies and lots and lots of tea. 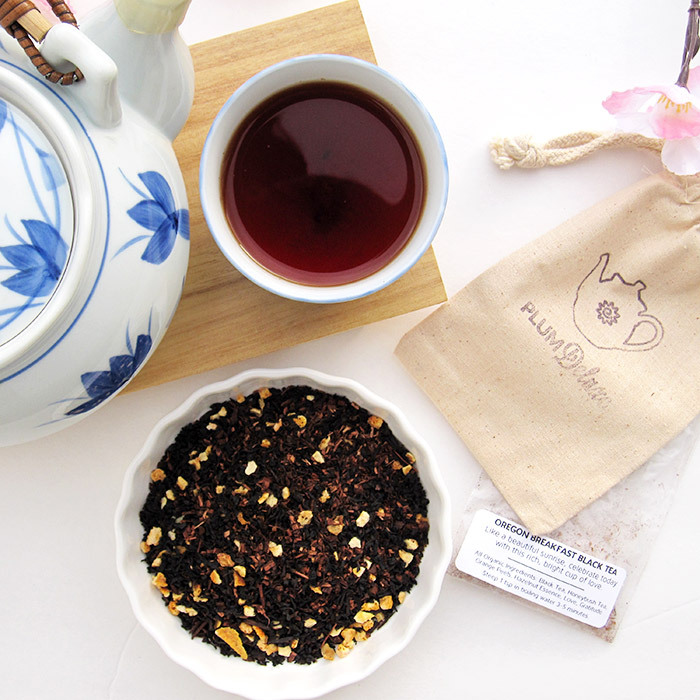 Today’s tea of choice is Portland Rose City Chai, which was hand blended by the kind folks at Plum Deluxe, who signed on to sponsor a couple episodes of the CraftSanity Podcast. 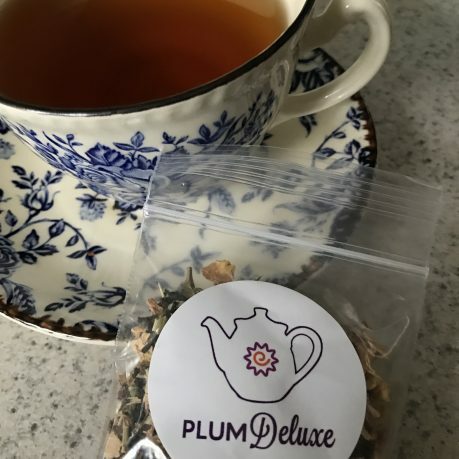 In an effort to properly introduce you to this fine Portland, Oregon-based online tea provider, I sent a list of questions to Andy Hayes, founder and creator of Plum Deluxe. So pour yourself a cup of your favorite tea and learn more about Andy’s handmade business and his passion for community building. Have you always been a tea drinker? Who introduced you to it? Growing up my parents had two jugs of iced tea in the fridge at all times; one was sweetened (very sweet) and one un-sweetened. I would have a glass now and then, but not regularly. In college I attended a few tea ceremonies, and then I was introduced to the broader spectrum of tea when I moved to Amsterdam, Netherlands. I steeped (pun intended) in the café culture there and loved both the diverse black/green/white teas as well as the Dutch love for fruit and mint herbal teas. 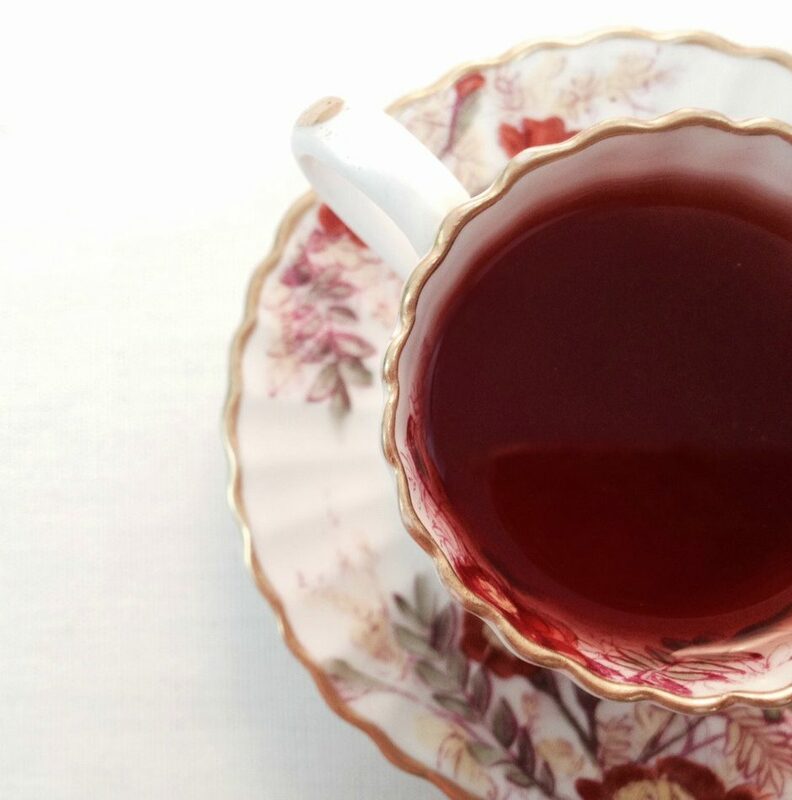 It wasn’t long before I had an entire cabinet devoted to tea, and would play host most Sundays to tea parties where large pitchers of tea sat above tealight candles for piping hot sipping all day long. Please describe your business and the services you offer. Plum Deluxe is the website that helps you create moments that matter. Our signature line of fresh, organic, fair trade loose leaf teas help you to slow down and connect with yourself and those people moments important to you. We source the best ingredients and create each blend in-house, which allows us to be very creative and have a lot of fun. We are most well known for our tea of the month club; for $10/month (charged quarterly), members get a surprise tea perfect for the season made just for members, as well as access to a number of perks and be a part of our supportive community. How did you get into the tea business? What led you to this place in your life? I launched my own business almost 10 years ago now, after escaping a toxic work environment that resulted of not one, but two, corporate mergers. 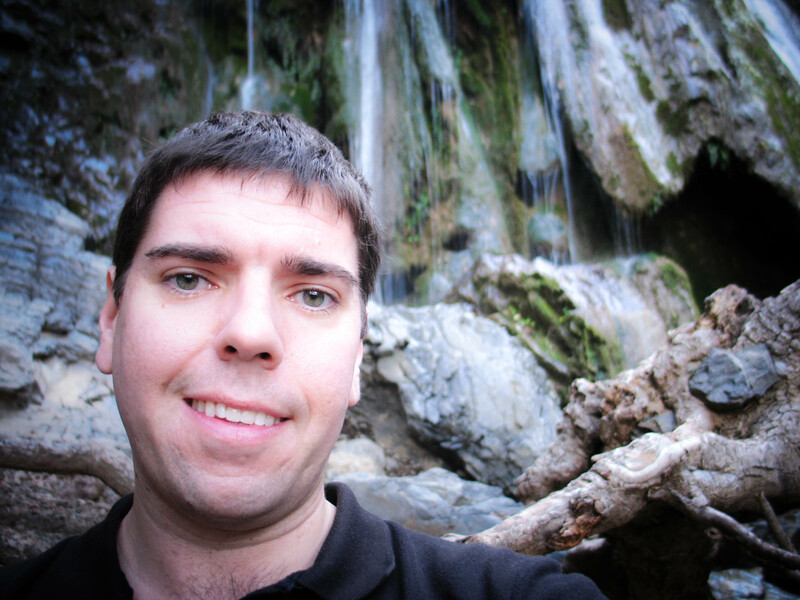 I was actually living in Scotland at the time; I just did consulting projects based on my old career in software technology for a couple of years while I thought about what I wanted to do. I knew that I wanted to create community, and I wanted to talk about some of the important life lessons I’d learned in those café conversations. The tea didn’t come along for awhile… (see next question). When did you launch your business and how did you grow it? How is it different now? I tried a number of different ways to create community around the conversation I wanted to have about “making moments matter;” in addition to our blog, we hosted our own themed events, we promoted sponsorships and even other people’s products. But readers of Plum Deluxe asked me to create our own product, and when I thought about “what’s the best product for slowing down and thinking about how to craft a good life,” tea seemed obvious. I quickly sold out of the first test blends, and the rest – as they say – is history. I always like to say that if something is important, it will find you – and tea found me. The company is very different than when we started; we have fewer people working on the project, but those people work more days per week and are more invested. Our branding and messaging is very clear and we are always working to dial it in more. 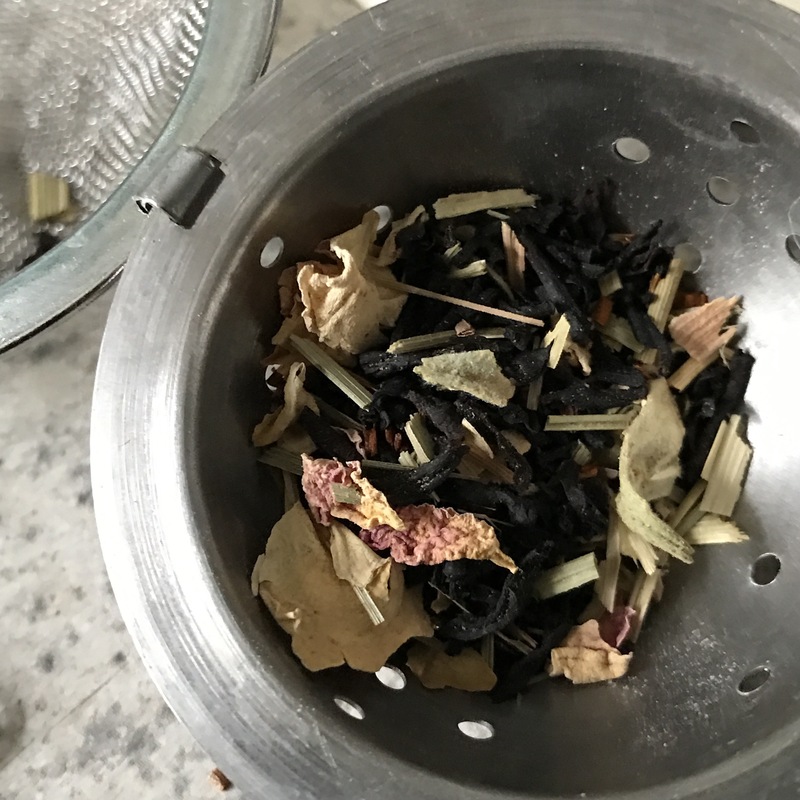 How did you learn to blend your own teas? What is that process like? 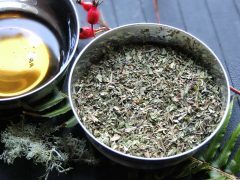 Do you have an epic stash of herbs stored in pretty jars? I did some research but immediately knew some tea concepts I wanted to have in my line; I was very well traveled in my previous career, and knew some great flavor profiles that weren’t available in American tea brands, as well as my own creative pairings. 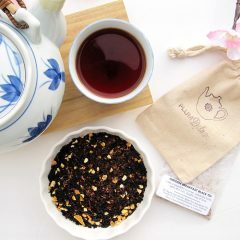 I sought out a mentor via a friend-of-a-friend (someone who had written for our blog once, in fact) – she had a tea company and was very happy to help me. For a while, I bought all of my blends from her wholesale, but I quickly outgrew her capacity and she sent me on my way to bigger and better things. 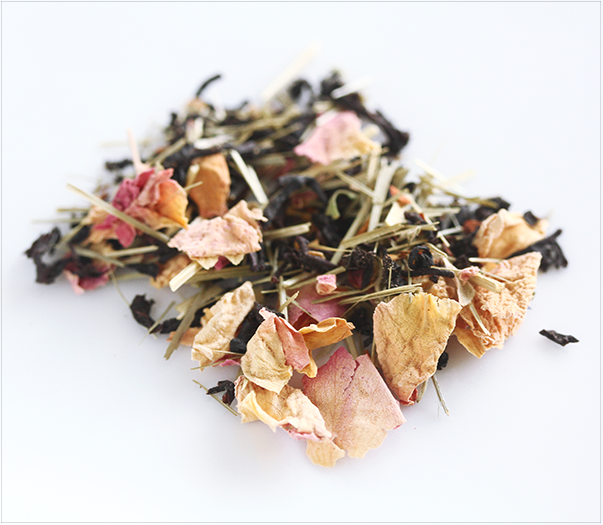 Blending tea starts with an intention – what moment will this tea be for? What flavor do I want to play with here? Then I pencil out some ideas, which could be different combinations or it could be just working out some proportions to try. And then it’s test, test, test, test. What is your most popular tea? Did this surprise you? If you had to pick an all-time favorite tea, what would it be? My personal fave is the coconut macaron; it’s sweet without adding sweetener. It’s rich and bold without being overpowering. It’s good hot or iced. It has lots of nuance without being stuffy and difficult. Your business isn’t just about tea, it’s also about community building. How do you do that and why is this so important to you? Indeed, community is very important to me. I’ve lived around the world and the one thing that I see in common with all humans is that we crave connection; in fact, we are starved for connection – especially in the United States. People are nearly desperate for places where they can connect with like-minded souls in a supportive environment. I knew that’s what was most important for me, whether that be in small group events, in online forums, or just via an email newsletter. Because we think about community first before we do anything, this helps people who are part of Plum Deluxe feel connected no matter how involved they are; even people who just get our weekly newsletter sometimes reply and tell me how grateful they are they feel part of something larger than they are. The most important thing about community is knowing what you stand for and what your intentions are. I stand for making moments that matter and my intention is to encourage people to slow down and tune into that. Because everywhere I go and everything I do ties back into that principle, people can very easily decide if they’re in or out, whether that’s via a Facebook ad or having stumbled upon one of our articles in a Google search. How would you describe your tea-loving audience? How do the people who support your business inspire you? I would say that our tribe is a very diverse set of loving souls, each on their journey to creating special moments in their lives and trying to have fun while finding their way. They inspire me EVERY day; the way that people lift each other up in the group, the way that people feel safe to be vulnerable in sharing when they’re having a rough time or need help/ideas, and the way that people can share their accomplishments in reaching their goals in a way that helps inspire others and encourages even more feedback is incredible. People (who are so diverse in interests – even across difficult topics like religion and politics) are now even organizing their own parties and meetups to come together for thoughtful conversation. I may have created that container, but they fill it – and that amazes me. What has been your greatest challenge as a small business owner? What has been your happiest moment in business? I would say definitely say getting clear on my message has taken a long time for me to distill. Happiest moment is when I sold out of those first batches of tea – I felt like it was a sign that this was the thing (and it was!). If you could have tea with anyone, who would it be and what kind of tea would you drink? I always say that if you get asked this question, pick a dead person, because with some determination and luck, there’s no doubt you could have tea with any living person that you wanted. I would say I’d pick Jim Rohn – he was a very influential personal development coach (people like Tony Robbins cite him as their founding inspiration). He’s sort of a contemporary to the views of Napoleon Hill, another author you might be more familiar with. And I’d say we would go with a traditional English Breakfast, cream and sugar on the table if needed, to help keep the conversation flowing. Is there anything else that you would like share – a favorite quote, movie or book? My favorite movie is the Matrix, I am a sci fi fan! Favorite book is You Learn by Living: Eleven Keys for a More Fulfilling Life by Eleanor Roosevelt; she has so many great quotes in that book. Thanks Andy! To learn more about Andy and Plum Deluxe, read the blog, check out the Facebook page and follow the Instagram feed. This internet web page is seriously a walk-through for all of the information you wanted about this and didn’t know who to ask. Glimpse here, and you’ll certainly discover it. Thanks a lot for sharing this with all people you actually recognize what you are talking approximately! Bookmarked. Kindly also talk over with my web site =). We may have a link change agreement between us!